Gill was admitted as a Fellow of the Institute of Chartered Legal Executives in 1992 and is part of our Wills and Probate Department. 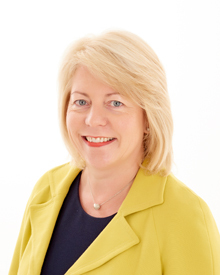 Gill has a wealth of experience advising clients on Wills, powers of attorney and administration of estates. Gill deals with all matters in a compassionate and efficient way, working closely with her clients supporting them through this difficult time. Gill is a member of a number of professional organisations including the Private Client Section of the Law Society, the Agricultural Law Association and is a full member of Solicitors for the Elderly. Gill regularly speaks at seminars on estate planning. "Thank you for all you've done. I will happily recommend you should anyone ask, and wish you all the best for the future"